NO HASSLE RETURNS Enjoy the peace of mind with ArchitecturalDepot.com's No Hassle Returns for qualifying products. Accent your porch or deck railing with a Mayne window box. The adjustable deck rail brackets simply bolt to your existing window box brackets for an easy installation over a 2x4 or 2x6 wood railing. 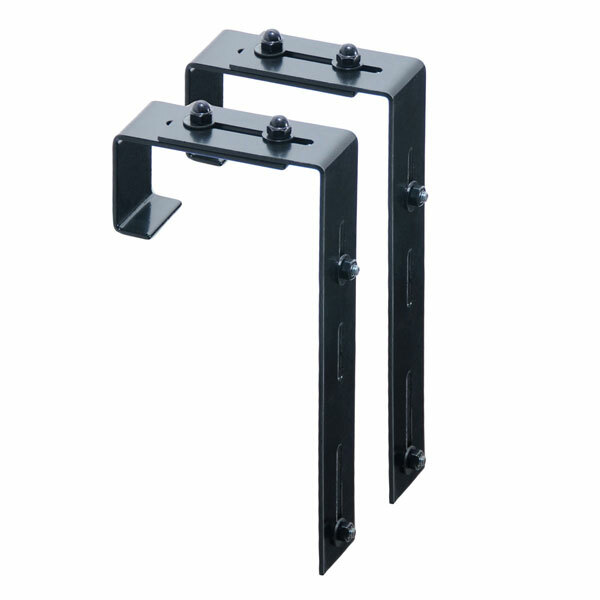 When purchasing Mayne Adjustable Deck Rail Brackets, please be sure to install one deck rail bracket for each wall mount bracket. These 2 brackets work together to provide stability and evenly distribute the weight of your planter, potting mix and water.